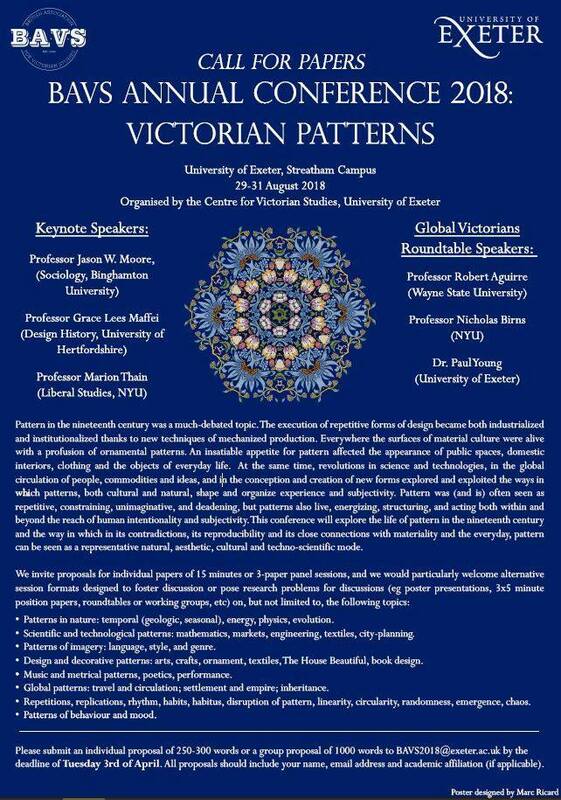 Pattern in the nineteenth century was a much-debated topic. The execution of repetitive forms of design became both industrialized and institutionalized thanks to new techniques of mechanized production. Everywhere the surfaces of material culture were alive with a profusion of ornamental patterns. An insatiable appetite for pattern affected the appearance of public spaces, domestic interiors, clothing and the objects of everyday life. At the same time, revolutions in science and technologies, in the global circulation of people, commodities and ideas, and in the conception and creation of new forms explored and exploited the ways in which patterns, both cultural and natural, shape and organize experience and subjectivity. Pattern was (and is) often seen as repetitive, constraining, unimaginative, and dead, but patterns also live, energizing, structuring, and acting both within and beyond the reach of human intentionality and subjectivity. 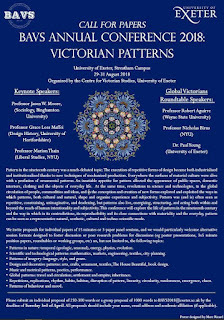 This conference will explore the life of pattern in the nineteenth century and the way in which in its contradictions, its reproducibility and its close connections with materiality and the everyday, pattern can be seen as a representative natural, aesthetic, cultural and techno-scientific mode. Patterns in nature: temporal (geologic, seasonal), energy, physics, evolution. Scientific and technological patterns: mathematics, markets, engineering, textiles, city-planning. Patterns of imagery: language, style, and genre. Design and decorative patterns: arts, crafts, ornament, textiles, The House Beautiful, book design. Music and metrical patterns, poetics, performance. Global patterns: travel and circulation; settlement and empire; inheritance. Repetitions, replications, rhythm, habits, habitus, disruption of pattern, linearity, circularity, randomness, emergence, chaos. Patterns of behaviour and mood.